If you have been using Windows 8.1 then you might find that some improvements made to the file manager is pretty annoying like the removal of libraries and the merging of removal devices with the local disks which makes hard to find the external devices. 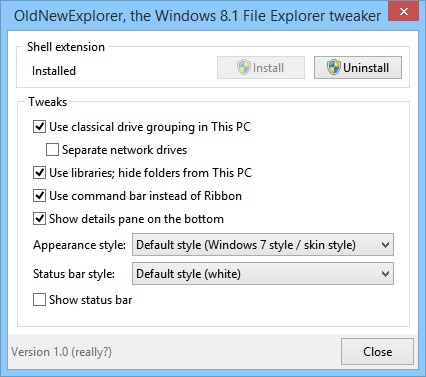 So here is OldNewExplorer which brings all the Windows explorer features found in Windows 7. 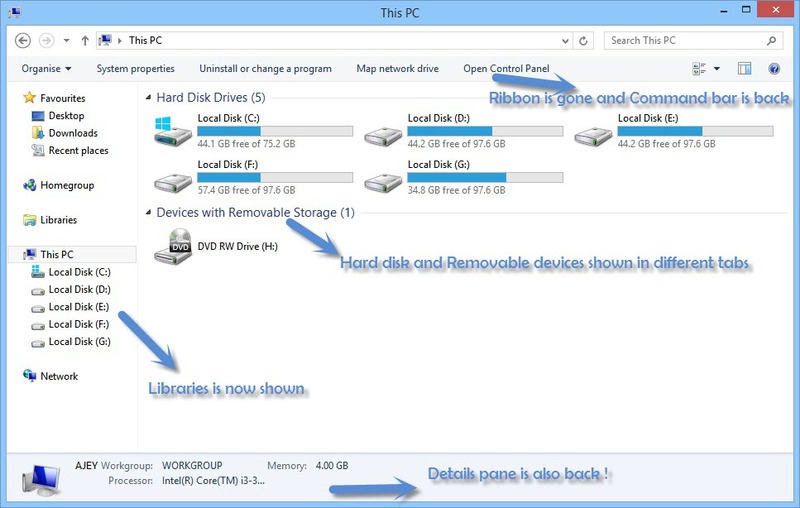 Here is how the file explorer will look after running this tool in Windows 8.1. 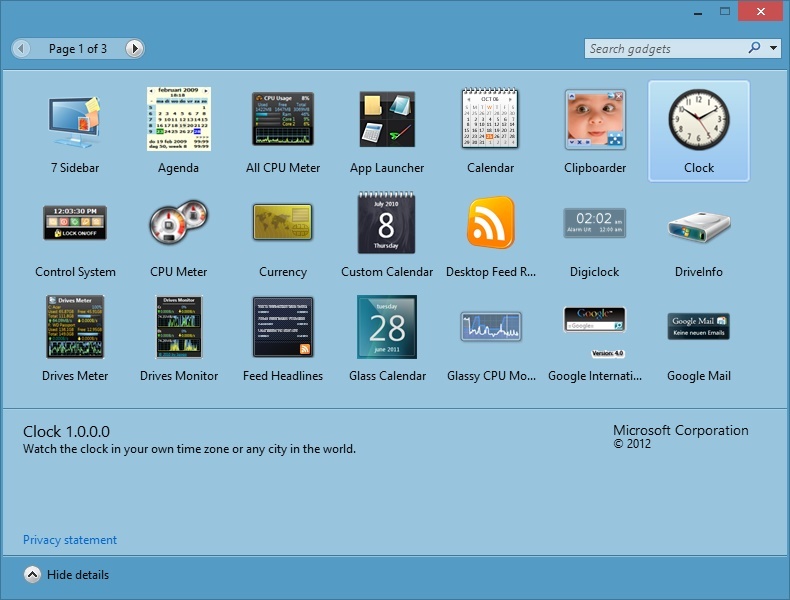 Microsoft have been updating the Personalization Gallery frequently with new themes for both Windows 7 and Windows 8.1. 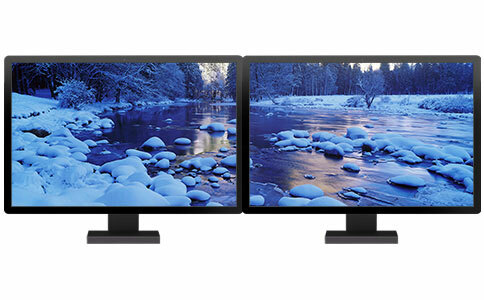 This time Windows 8.1 gets one more beautiful theme called Snow Panoramic which comes with 12 HD wallpaper which will also look great when used in dual monitors. This theme looks fantastic and cool in my PC. I like it a lot ! You can download the theme for free from the personalization gallery . Have you ever wanted the both Start menu and Start Screen working together. Well I have made a video which will show you how to get them both working in harmony so that you can launch the start menu or the start screen at any time via the taskbar. You can get the best of both world's by this way ! 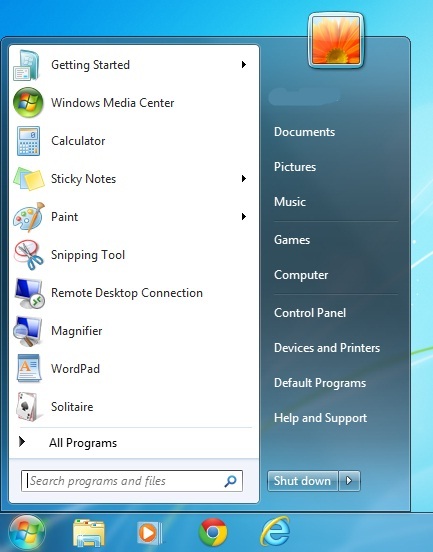 Windows 7 start menu and Windows 8 Start Screen both at a single place. Hope it helped you ! Google has released a new Chrome Experiment which puts the power of Chrome to test . This experiment is directly promoting The Hobbit sequel. The graphics are pretty much impressive and this experiment works best on Chrome in any device. The 3D graphics are well rendered in Chrome with WebGL and HTML 5. It's always nice to see these powerful technology used in eye catching experiments like this. SkyDrive is a very popular cloud storage service developed by Microsoft. SkyDrive is playing a major role in the vision of the Redmond tech giant. But there is one problem with it's name which still hinders the company at several intervals. Back in September, Microsoft settled a trademark dispute with British Sky Broadcasting Group, promising to change the name of its SkyDrive cloud-based storage service in a reasonable time. So it's a long time since that announcement and the time has arrived for Microsoft to change the name of SkyDrive. 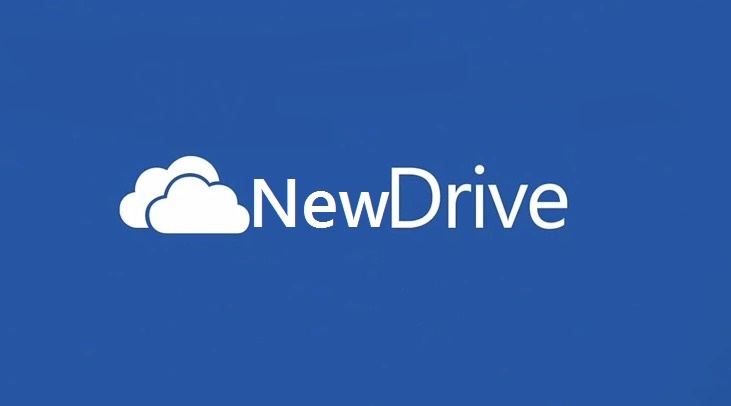 It seems that NewDrive will be the new name for SkyDrive and it will come into effect at any time. 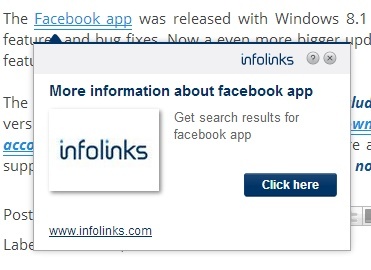 It's notable that the tech giant has already purchased newdrive.com which currently redirects to skydrive.com. What do you think about this new name " NewDrive" ? 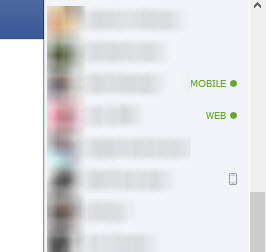 I reported that facebook has added a new feature in chat which shows where your friends are accessing facebook from. This time there is complete refresh of the chat interface with a light blue background. You can see the changes in the picture below. Facebook is trying to unify the UI across Computer and Mobile devices. This change seems to be part of the transition. It look more like how chat looks in Mobile app.May be facebook is going to get small changes often. Microsoft are promoting the new devices which are made to work perfectly with Windows 8.1. There are five devices showcased in this video which includes the newly launched Surface 2 and Nokia Lumia 2520. Other devices are Toshiba Encore,HP Split x2 and Dell XPS 18 . Of course all the devices run Windows 8.1 RT or Windows 8.1. Microsoft is busy promoting Windows 8.1 to make it a successful product. Do you like these devices which brings the best Windows Experience to you ? Opera 18 is out ! Opera is now more feature complete after the transition from Presto to WebKit. With Opera 18, you can install themes in Opera.There are some bug fixes which will make the browser more stable and the browser's engine has been updated to Chromium 31. Opera users are recommended to get this update as soon as possible and this update will be delivered in the background via the automatic update feature. Windows Store gets bigger screenshots ! 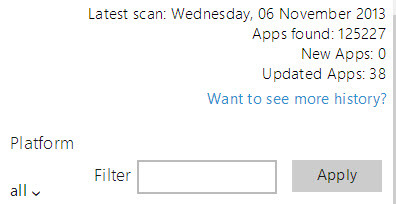 Here is another small change in Windows Store. Windows Store shows a bigger screenshot of the app you are viewing . Microsoft are trying to get more users use the Modern UI apps but what they don't seem to understand is that the Modern apps are not feature complete as the desktop apps. There are some quality apps in Store but it needs more better and full featured apps to replace the Desktop ! Facebook has been improving chat over the last couple of years by bringing some drastic changes like the new big and interactive emojis. 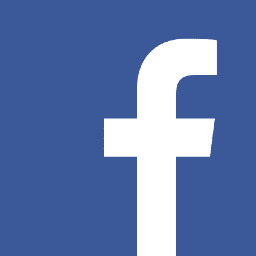 This time they have introduced a new feature which shows if the user available in chat is using facebook via mobile or web (which means via the facebook website). 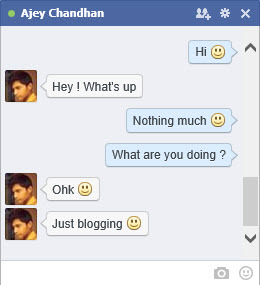 This won't change how facebook works but it is just a good addition to fb chat ! Windows 8.1 has got 3D printing in built. Implementing this new feature just got easier with 3D builder app which gives you multiple options to print in 3D in a easy to use UI. If you own a 3D printer then this app is a must for you. 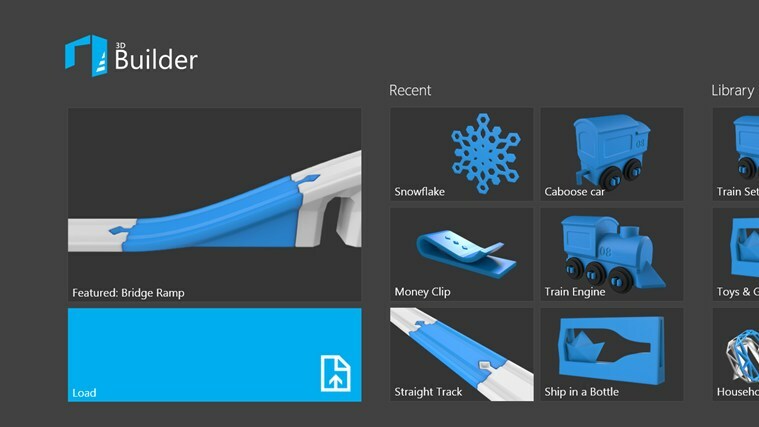 Meet 3D Builder - the best place to view, prepare, and print your 3D models on Windows 8.1-ready 3D printers! 3D Builder is a fun, easy to use, free app that helps you turn bits into atoms and explore the exciting world of 3D printing. It also includes a library of example 3D objects to get you started. Whether you are an experienced enthusiast or new to the world of 3D printing, 3D Builder is fun for Makers of all ages. DDR 3 has been around for many years. Every PC bought today comes with DDR3 RAM. Now it's time for DDR3's predecessor, DDR4 to rule the world. DDR4 provides a lot improvements over DDR3. Flipboard is available for Windows 8.1 via Windows Store for free.Flipboard provides a cleaner way to get the news about the things you like. It provides all the new you want in a magazine like layout which is easy to read. Skype could make group video calling free ! 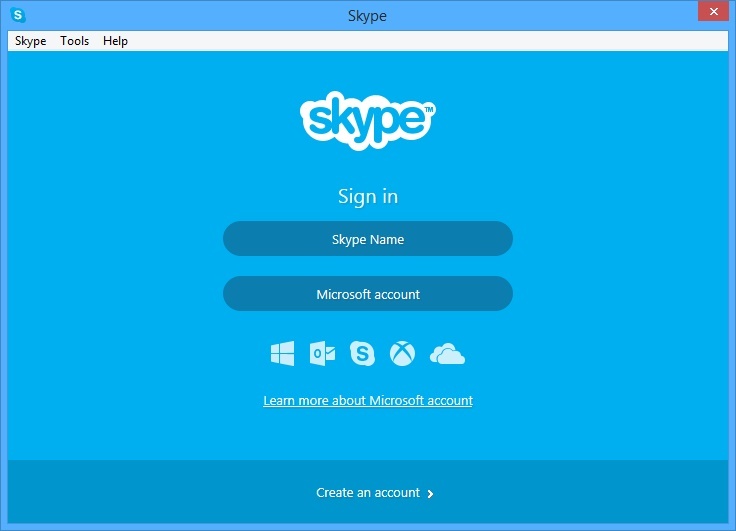 Skype is a very popular video chatting platform these days but the lack of features in the free version may damage it's popularity. Group video calling is one of the biggest missing feature in the free version as this feature is offered by the competitors such as Google with it's Hangouts. 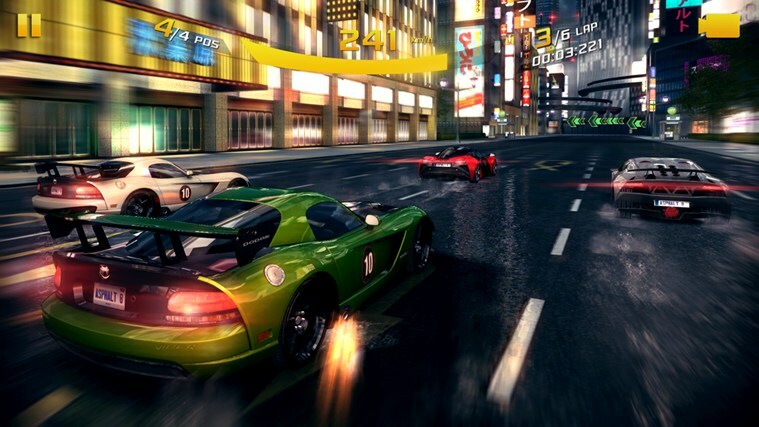 Asphalt has released their latest game for Windows 8.1 and Windows phone users. Asphalt 8:Airborne is a great game with superb graphics. The latest game offers a lot entertainment as it's predecessors did.The description of the game reads. This game will run great in a desktop with powerful graphics. Though the mobile version has been adjusted to work better in a smaller screen with good graphics. If you are on for gaming with Windows 8 or Windows Phone 8, then this game is a pure entertainer with cool graphics and visual and audio effects to make the gameplay better. Download for Windows Phone 8 , Windows 8.1. Microsoft released the second generation of Surface and there has been a lot of reviews about the new tablets, Surface 2 and Surface Pro 2. They both play a important role for the Surface department as the first generation did not go well. Microsoft unveiled Visual Studio 2013 which brings many new features and better support to Windows 8.1 apps. There has been a lot changes in the product line-up as it includes the newly launched Visual Studio Online. Microsoft has delivered IE 11.0.1 to Windows 8.1 users and they have patched a lot of bugs and the browser is expected to play well with most of the sites that were not loading correctly in IE 11. 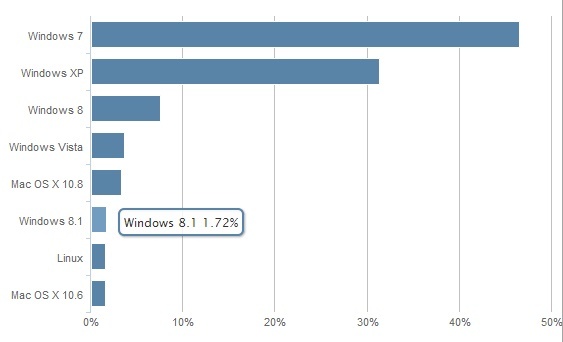 Windows 7 remains the top choice for Windows users with nearly 46% of market share. So every month the updates are delivered to millions of people running the OS. Microsoft has used the patch tuesday to deliver performance improvements to Windows 7. You can expect a nominal speed boost but not a drastic one. Google Chrome has been updated to version 30 with some new features and some background changes which improves the performance and security of the popular browser. The new version includes support for Web payments, portable native code, and 25 security fixes. Adding Ads to my blog ! This may sound different but I have added ads to my blog. Don't worry there is no effect in viewing the blog. The ads get embedded with the posts rather than hide the post. I have made sure that these ads provide some revenue to me as well as not hindering my blog. It's been a long time since I started blogging. Since then I have tried to focus more on what my blog is about and these ads encourage me more to deliver newer and fresh posts which means that the quality of this blog is going to improve a lot in the coming years. 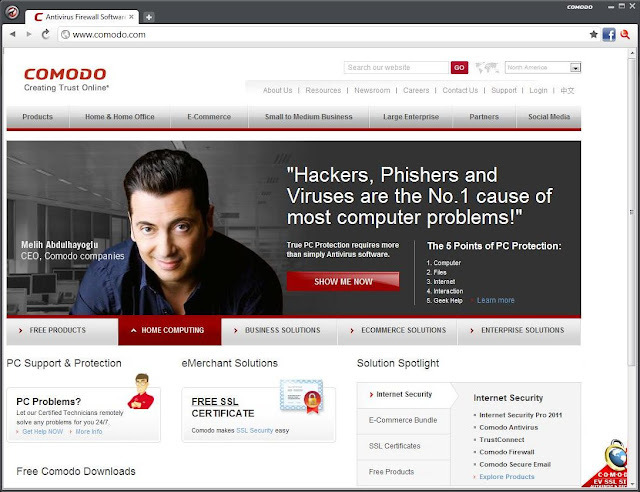 Comodo Dragon is a great browser for those who want the speed of Chrome with a bit more privacy. Today marks the second Tuesday of the month and it's the same day when Microsoft will release patches for all their products like Windows,IE, Office and more. There will be eight security bulletins delivered to Windows and Office users . These updates will be delivered to all the users in the background if they have Windows update on. There it goes again, a new day , a new exploit attacking Internet explorer users in Windows XP and Windows 7. It's notable that they are the most popular OS in the world with a share of nearly 75% combined. Microsoft has released a newer version of MSE for all the pre-Windows 8 users running MSE. 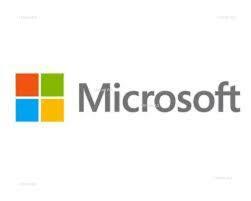 MSE is one of the most popular antivirus in the world,thanks to the Microsoft branding. 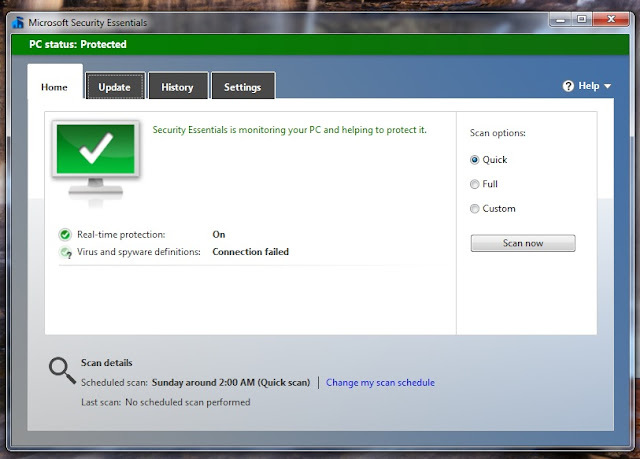 But unfortunately MSE proves to be a very basic antivirus. This update won't do a miracle to increase the detection rate of the antivirus but it does improve the overall stability and fixes the bugs. So if you are trusting MSE to protect you then you must update to the latest version as soon as possible. Pear OS 8 looks a lot like Mac OS X which makes it really attractive and beautiful. Mac users who want to change to Linux based OS should consider moving to this OS as it looks very similar and easy to use. Microsoft has been solving a lot of bugs after the launch of Windows 8.1 . They are trying get all the Windows 8 users to Windows 8.1 without any problem so they have released many updates to make sure that Windows 8.1 is working correctly for everyone. Google wants to integrate all their services with G+ so that they can expand G+ to a bigger and better social network but they are doing this in a undesirable way. Microsoft have always wanted to keep their products and users in the safer side and they have been releasing a bunch of updates which will improve and keep their products updated and safe. So this month Microsoft will release Eight updates aimed at Windows,Office users. 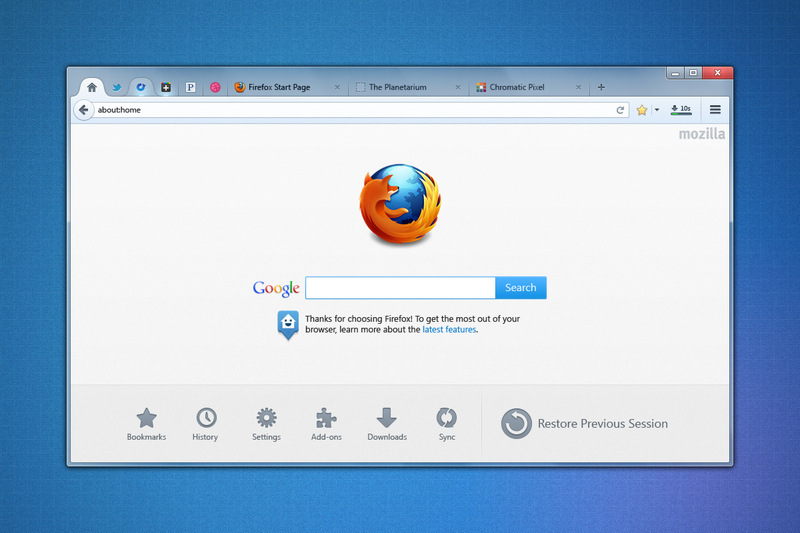 Mozilla prepare to launch Australis for Firefox soon ! Mozilla has been developing Australis, a new and completely revamped UI for Firefox for more than a year and there is always small improvements to this project. But until now they have been testing Australis under a separate UX branch of their source code. Meet the new Anime for Internet explorer named Inori Aizawa. Microsoft launched IE 11 to Windows 8.1 and Windows 7 while they also created a new anime to promote their newest browser. This might be a start of anime series for IE or even dry out as a normal ad. But this video is getting so popular that Microsoft will make up a series. Do you like the Anime for Internet explorer ? IE 11 was released with Windows 8.1 and yesterday marked the launch of IE 11 for Windows 7. So Microsoft is now fully focusing in IE 11 and it's promotion. Microsoft wants all the users to upgrade to IE 11. Windows 8 users should update to Windows 8.1 to get the new browser while Windows 7 users can separately download it. Internet explorer 11 is already available in Windows 8.1. IE 11 for Windows 7 was available as a preview version till now. The Stable version of IE 11 brings in a lot bug fixes and performance improvements over the previous preview version. Windows 8.1 is out for everyone and Microsoft continues to market it's newest OS. So this time they are talking about the new features of Mail app in Windows 8.1. Windows Store hosts 125,000 apps now ! Metro scanner shows that Windows Store is now hosting more than 125,000 apps. 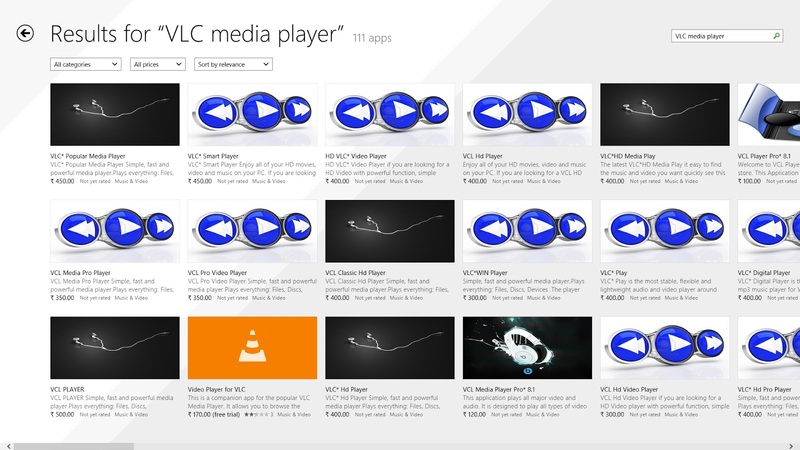 Windows Store has a lot fake VLC media player apps! VLC media player is one of the most popular media player. It's is available only in desktop mode of Windows. 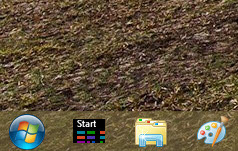 Windows 8 brought apps which run in fullscreen mode and away from desktop with it's own separate Window. 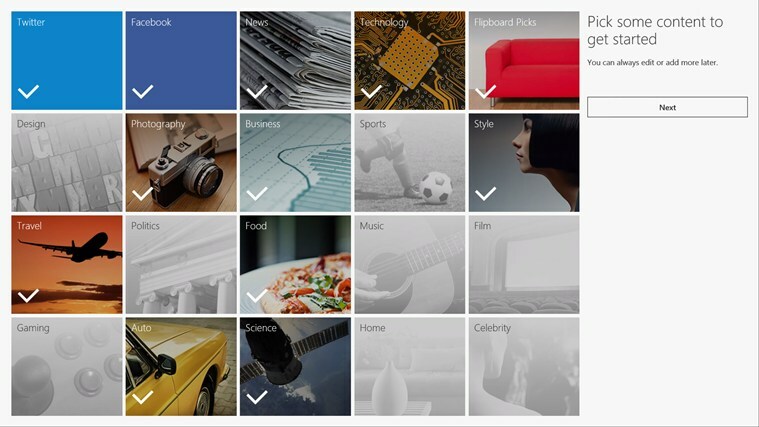 Windows 8 apps are available only via the Windows Store and they are mostly small and supports touch input. VLC is developing the official app and they have not yet released a official beta or stable app. If you loved the desktop gadgets found in Windows 7 but you are using Windows 8.1 or Windows 8 which does not come with desktop gadgets, then I have found a permanent solution for you. It's great to hear and it works great too. 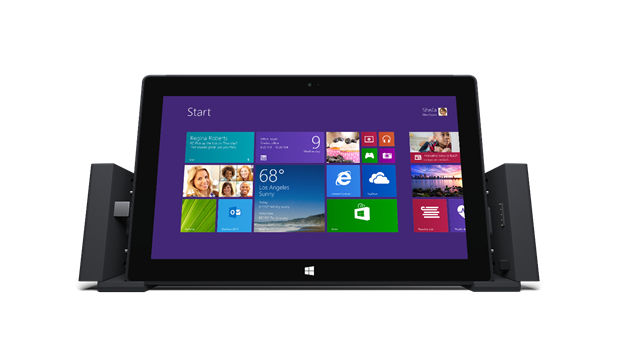 Microsoft Surface 2 offers various devices with different storage capacity . Starting from 32 GB till 512 GB (pro version). But you are not going to get the full storage because of the preinstalled software and apps. 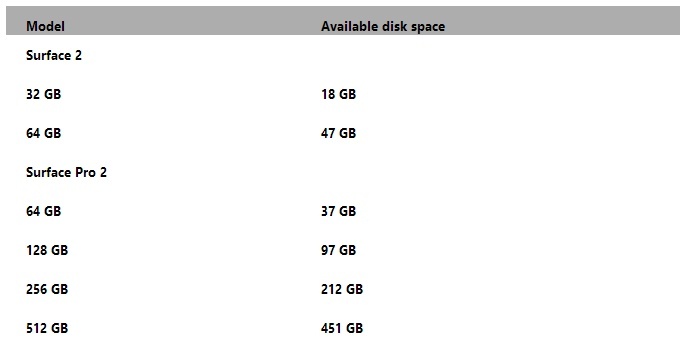 As you can see Surface 2 with 32 GB gives you only 18 GB. 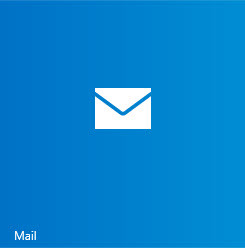 Windows 8 got a mail app baked inside the OS. It was basic one but the mail app in Windows 8.1 has been improved in all ways to provide complete and feature rich app experience. 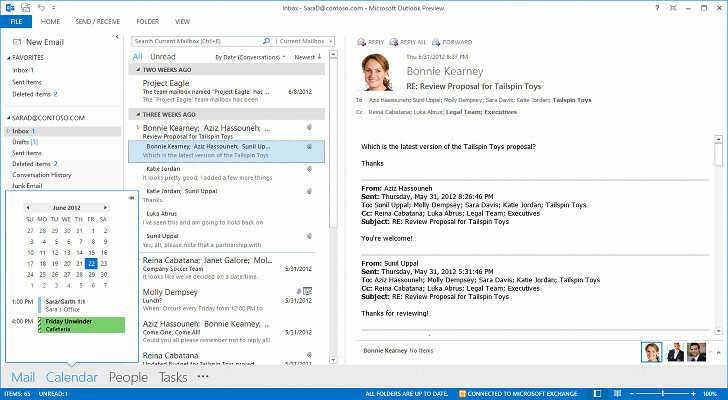 But Outlook 2013 RT is a version of Outlook 2013 which runs in the Windows RT 8.1 touch environment. They have made a lot of improvements in this app to make it work perfectly with touch. They have got some plans to replace the current mail app with Outlook RT 2013. 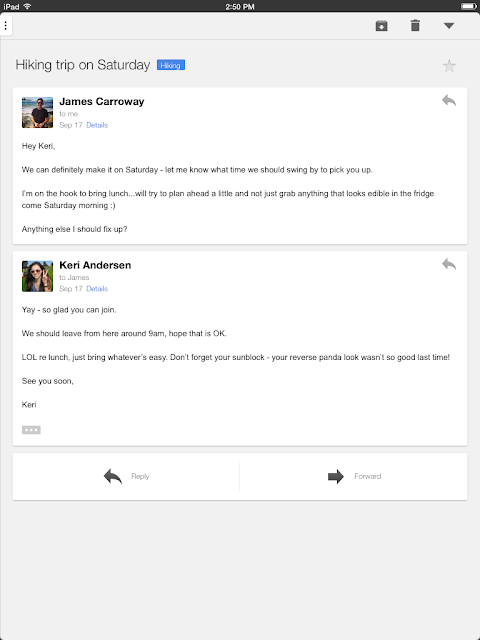 So Microsoft might also develop a touch-friendly version of Outlook 2013 RT to completely replace the built-in Windows 8.1 Mail app and provide users with a full-featured email client for their tablets. avast! gets updated with some bug fixes and security improvements which in-directly affects the security of your computer. avast! 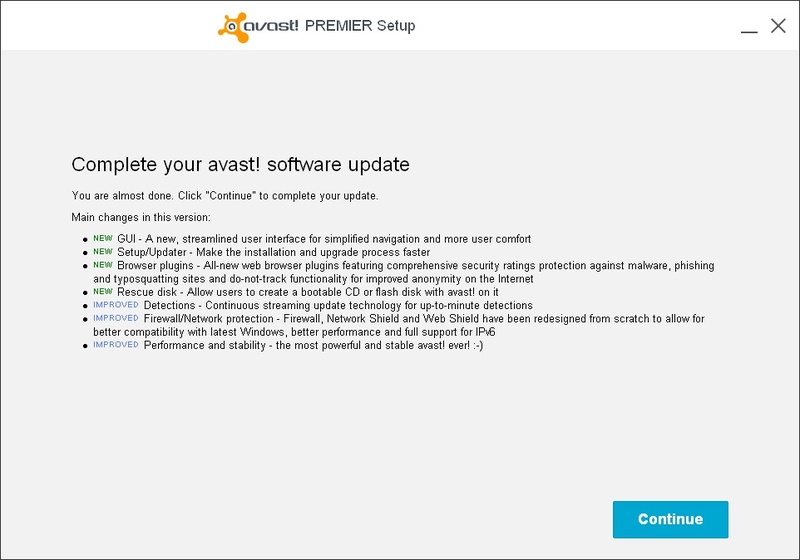 free antivirus,pro,internet security and premier versions got this update. Microsoft is trying hard to boost the sales of Windows 8.1. Windows 8.1 puts forward a new way of computing and it improves Windows 8 by a mile. But it's a new OS and it is not pre-installed in most of the PC's. Of course nearly every PC runs Windows 8 these days which means that every PC is ready for the upgrade via the Store for free. But selling 16 Million copies of Windows is not easy thing and Microsoft bets that it can do it Windows 8.1 . Microsoft spent a lot of money promoting Windows 8. In all the ways possible,they had promoted Windows 8 but by seeing the uptake of the OS. It is sure that they did not reach all the users. According to WinSuperSite, Microsoft is going to do all the things once more with a huge budget of $405 million. 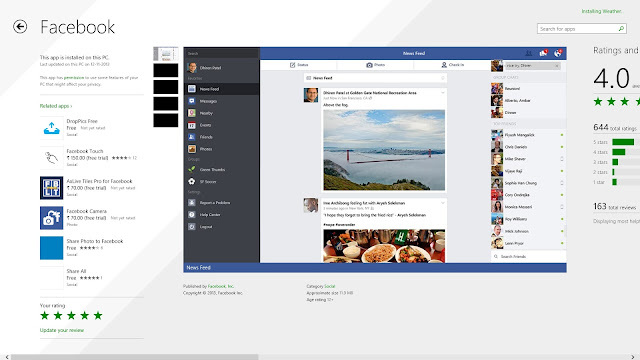 But with a different approach than what they did with Windows 8. Microsoft planned not to release Windows 8.1 as a standalone ISO file but it seems that they have a change of heart. Microsoft may release the ISO files for Windows 8.1 later this month. Softpedia writes One of our readers told us that Microsoft’s support staff confirmed such plans, which would basically provide users with a second option for updating, but also with an easier way to perform a clean install. This will provide users to perform clean installation of the OS without installing Windows 8. Also if you have more than one PC then this method will prove effective as downloading Windows 8.1 in all the machines take a lot of time. Internet Explorer is on top ! Internet Explorer is the world's most popular browser as of now and this won't change any sooner as the market share of Internet Explorer has shown improvement over the last few months, thanks to IE 10 in Windows 8 and Windows 7. Windows 8.1 is already in full phase replacing Windows 8 and this is clearly found in the new reports from netmarketshare .